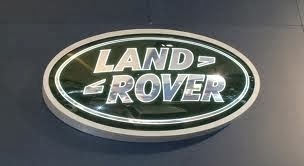 SELLING A 2006 LAND ROVER DEFENDER 90 TD5 XS COUNTY STATION WAGON 6 SEATS WITH HEATED HALF LEATHER. BONATTI GREY METALLIC WITH BLACK HALF LEATHER HEATED SEATS. THE CAR IS IN EXCELLENT CONDITION, NO SCRATCHES DENTS OR SCUFFS. STAINLESS STEEL ROOF BAR WITH BRAND NEW SPOT LIGHTS. STAINLESS STEEL EXHAUST WITH DE CAT DOWN PIPE. 16" BOOST ALLOY WHEELS WITH MATCHING GENERAL GRABBER TYRES. 2 IN THE FRONT AND 4 IN THE REAR WITH SEAT BELTS. IT HAS CHEQUER PLATE TO THE BONNET, WING TOPS, REAR 1/4'S AND THE SIDE SILLS. THE LAND ROVER DRIVES AS IT SHOULD, GREAT POWER WITH THE DE CAT STAINLESS STEEL EXHAUST AND EGR REMOVAL AND BETTER ON FUEL TO! THE HI LO BOX AND DIFF LOCKS WORK AS THEY SHOULD. THE GEARBOX IS FINE UP AND DOWN WITH NO ISSUES WHATSOEVER. THIS VEHICLE HAS NEVER BEEN OFF ROADED. THIS IS A GREAT VEHICLE TO DRIVE AND IN THE BEST COLOR LAND ROVER DID, AND IT'S IN ABSOLUTELY EXCELLENT CONDITION, WITH NO DENTS, SCUFFS, SCRAPES AT ALL.